Dream team yoga video with Deepak Chopra & Tara Stiles! They would love to get some Headspace! …just 10 minutes a day, check out the app! Think these are so cool! Would love this book – Cooking with a Yogaview, and this book! 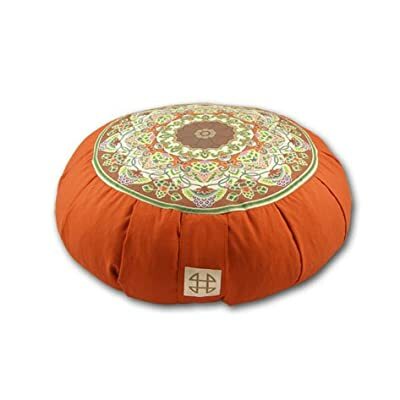 They LOVE this meditation pillow! & this eye pillow‘s pretty cool too! Could use some of this to help with the calm. Would love some of this Buddha Nose balm for all that deep breathing they do! & they love these Beeswax Buddha candles! A gift certificate to their favorite yoga studio – like this one! Send them a little zen from here! They’d love a gift card to the amazing Manduka home of the best yoga mat ever! They’d REALLY love this acupressure mat …even Dr. Oz says so, see! They would LOVE a ticket to Gabby’s six week course! A subscription to Gaiam TV is like Netflix to the yogi. Sitar in a box! how cool! They’d love to sweat out toxins in their very own one of these!